Asbestos is a well-known cause of cancer and respiratory diseases. 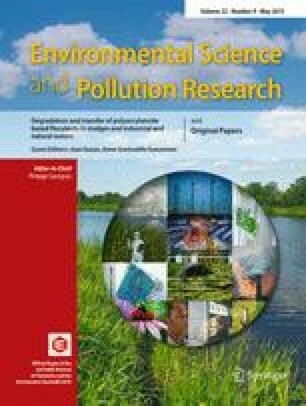 The aim of the current study was to investigate the scientific production in asbestos research evaluating temporal trend, geographic distribution, impact factor (IF) of published literature, and taking into account socioeconomic variables. The PubMed database was searched starting from 1970. Publication numbers and IF were evaluated as absolute values and after standardization by population and gross domestic product (GDP). Six thousand nine hundred seven articles related to asbestos were retrieved. Publications grew steeply in the 1970s, leveled off in the 1980s, decreased in the 1990s, and then increased again. Mesothelioma, lung neoplasms, and occupational diseases are the most commonly used keywords. In the period of 1988–2011, 4220 citations were retrieved, 3187 of whom had an impact factor. The US, Italy, and the UK were the most productive countries. European countries published about 20 % more asbestos-related articles than the US, although the latter reached a higher mean IF, ranking second after Australia. When the national scientific production (sum of IF) was compared taking into account socioeconomic variables, Australia and Scandinavian countries performed very well, opposite to all main asbestos producers like Russia, China, and Brazil (except for Canada). The American Journal of Industrial Medicine and the Italian La Medicina del Lavoro published the highest numbers of articles. This study provides the first bibliometric analysis of scientific production in asbestos research. Interest appears to be higher in selected countries, with strong national features, and is growing again in the new millennium. International Labor Organization (2013) New International Labor Standards. Available http://www.ilo.org/public/english/standards/norm/ [Accessed 1 September 2013].